A cross between a pop-up and hard sided travel trailer. These campers offer the feeling of space within a small footprint. 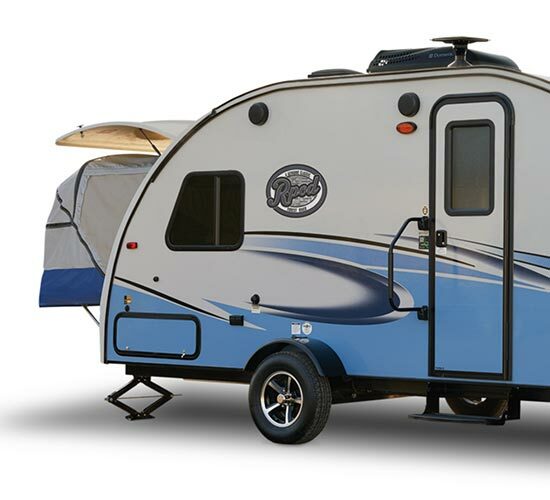 The Jay Feather 7 by Jayco is easy to tow and easy to set up but still offers all of the residential features that you've come to expect from a Jayco Travel Trailer. 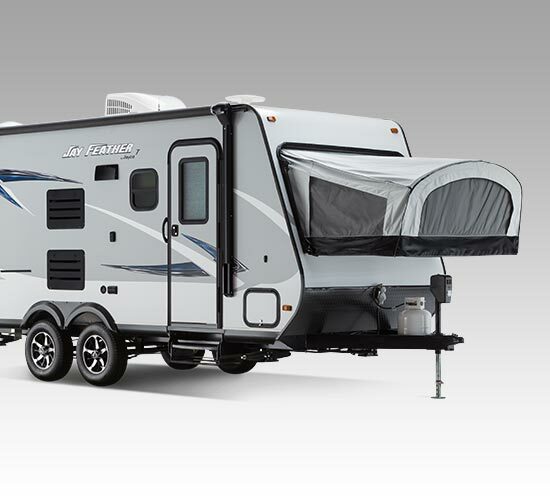 The most economical way to maximize bang for your buck, with prices ranging between $10,000 and $35,000, Hybrid Travel Trailers are an affordable way to sleep up to eight people. 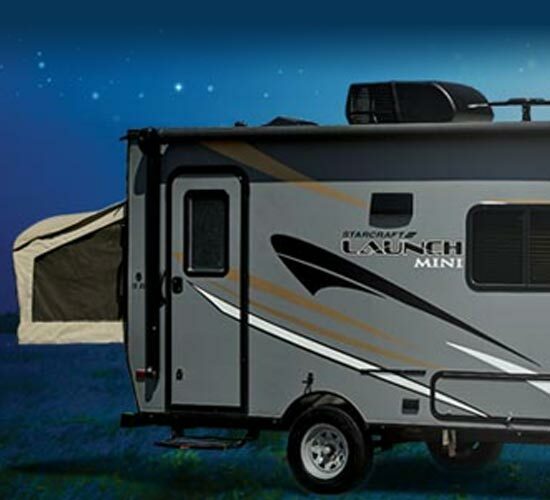 Being a cross between a Travel Trailer and a Pop-Up Camper affords you the best of both worlds. The main hard shell of the trailer body is made even more spacious by extending out the sides, allowing you to accommodate more people comfortably. Perfect for weekend getaways and easy to haul and set up, I use mine every chance I get. Their size and weight make the fuel cost for hauling them easier on the pocketbook allowing for less planning and more camping. With amenities like sleeping areas, bathing facilities, dining and kitchen setups, and top of the line entertainment features, Hybrid Travel Trailers have it all yet come in a smaller and more affordable package. Family cars, SUVs, and light-duty pickup trucks can easily tow Hybrid Travel Trailers. Special lightweight models require even less towing capacity to get them where you want to go. Once you have easily set up at your campsite, you can use your tow vehicle to take you to attractions, out for shopping, or head out for a day of kayaking or other activities.